We've all experienced the magic of Pho at some point in recent years. Pho has become such a huge food phenomenon in recent years that we sometimes forget it's been around for much, much longer. For people unfamiliar with Pho, it is a Vietnamese noodle soup made with rice noodles (bánh phở), herbs, meat, and a rich broth. It is a popular street food that is nutritious, filling, and inexpensive, eaten throughout the day in Vietnam. The name 'pho' (phở) has various readings, but is typically pronounced like a mixture of 'fur' and 'f-uh'. Have a listen here. There are two main components in a bowl of pho: the broth, and the ingredients. The broth for beef pho is made by simmering beef bones, oxtail, flank, charred onion, ginger and other spices; chicken pho uses a similar broth made from chicken bones, meat, heart, eggs, and gizzards. Both broths use the same spices for flavour, including cloves, star anise, coriander seed, ginger, onion, black cardamom, cinnamon, and fennel. Here's a recipe to try at home. 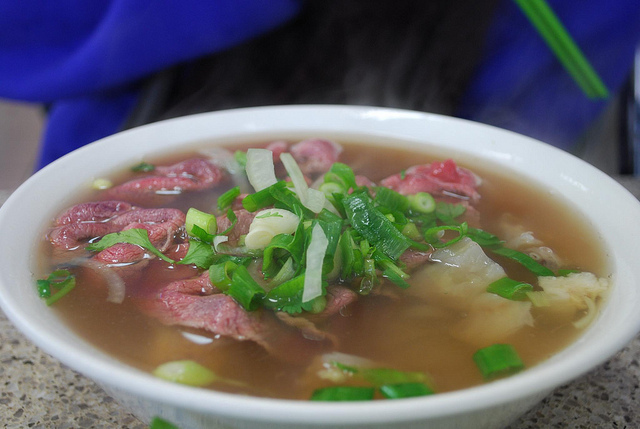 The ingredients vary depending on the kind of pho you're having, but a typical beef pho contains different cuts of beef: the flank (lean and fatty), steak, and brisket. These are finely sliced, and added raw, to be cooked in the hot broth as it is served. My favourite kind of pho is the variation found in southern Vietnam, which also has tendon, tripe, and meatballs. 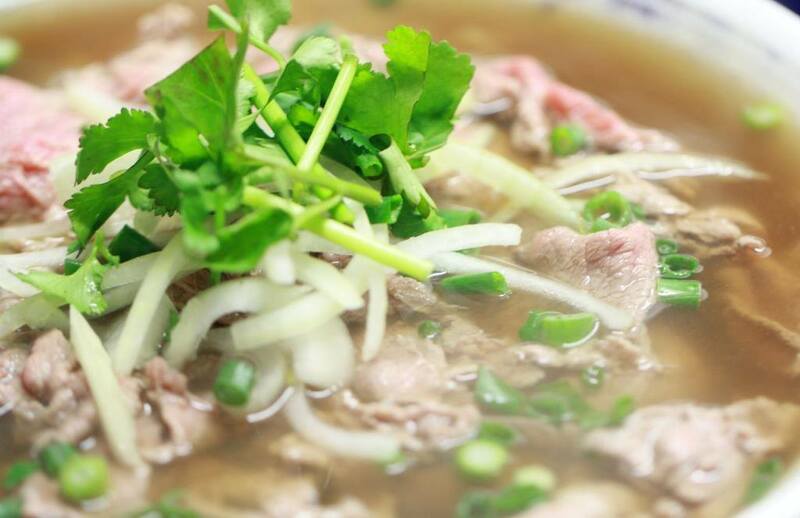 This tiny restaurant has been named one of the best pho restaurants in all of Sydney. It is also one of the first to be established as well, beginning in 1980 as a pop-up stall in the owner's garage. You should be prepared to wait for a table, because this place is almost always packed. Saigon is a favourite amongst the locals in the area, and for good reason. It's delicious, quick, and so affordable. It gets pretty packed on the weekends though, so be prepared for a bit of a wait to get seats. PHD has one of the best broths I've ever tasted, full of rich, amazing flavour. It was featured in the SMH Good Food Under $30 edition, and in The Sydney Magazine for Best Pho. You can make a reservation, or order online at their website as well. This arguably one of the best places for pho in Burwood, even though it often gets overlooked. There's something almost rustic about this tiny restaurant that takes you back to the basics of home cooking. You really can't go wrong with Pho Ann. 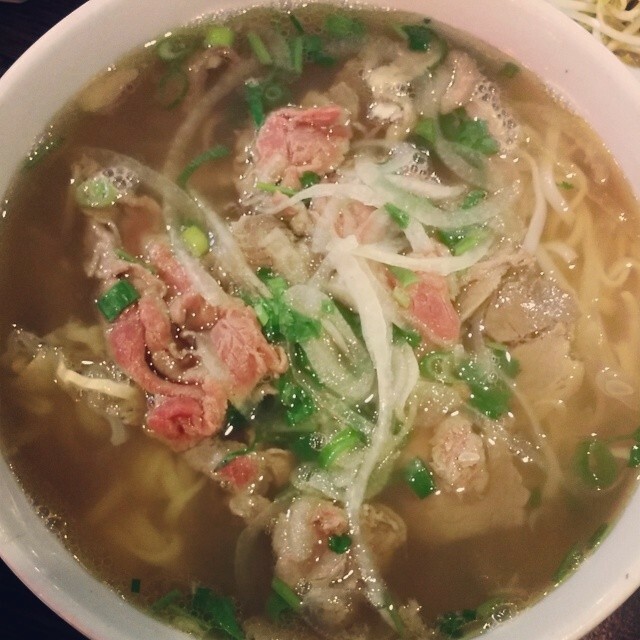 The pho comes in two sizes, large and small, and at very low prices too. This place can get pretty busy on the weekends, so you'll probably be asked if you wouldn't mind sharing a table with other diners. Saying yes will get you a table faster. 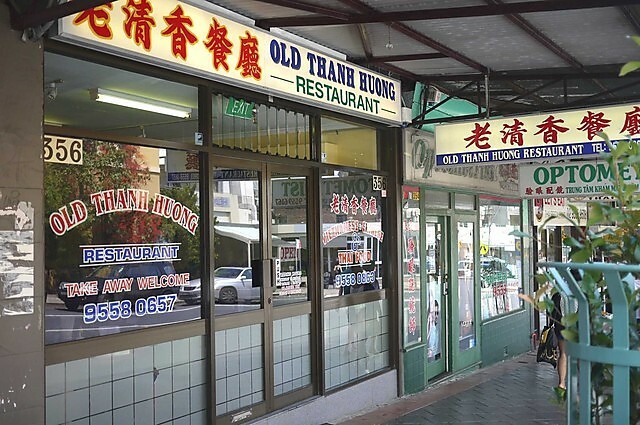 Huong Xua in Canley Vale, and their sister store in Cabramatta, is the home of the Pho Challenge. If you can eat a 2.5kg bowl of their pho in 11 minutes or less, you'll get that bowl for free. If not, it's still an affordable $17. Noodlies has some tips to help you tackle this challenge. Before there was Pho Saigon, there was Toan Thang. We've been coming to this restaurant as a family for decades now, and there's almost always a line out the door. The turnaround is pretty quick though, so we never have to wait that long. Pho Pasteur is another one to make the SMH Good Food Under $30 list, delivering large portions for affordable prices. It's been a longstanding neighbourhood favourite, and for good reason too. Old Thanh Huong is value for money at its finest. It's extensive menu goes well beyond pho, and the service is fast and friendly. It's closed on Tuesdays and Wednesdays, though. Does the name sound familiar? Well, it should, because this is where the head chef of Pho Ann in Cabramatta started out. It boasts the same rich broth, and is affordable, fast, and clean. Where are some of your favourite pho haunts? 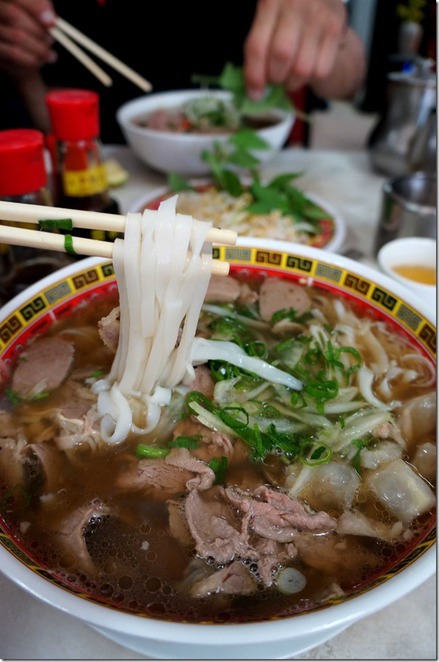 If this is your first time trying pho, you're in for a pleasantly warm, and wonderfully filling time this winter!